Dying your hair can be very damaging. Especially if you have a daughter who want something cool and unique. Hair chalk is a great alternative to dying your hair. 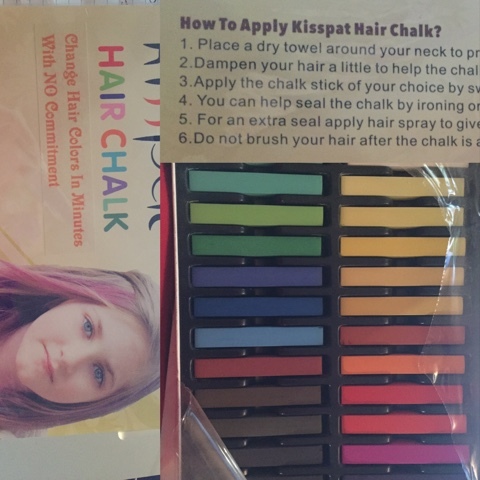 I will be using the hair chalk to ad color to my daughters and mines hair for Halloween. I can’t wait to see how it will come out. I will be adding photos of my daughters hairs who has color in it right now. Perfect temporary hair dye with Absolute no commitment! Easy to apply colors on hair, last 1 days or more!